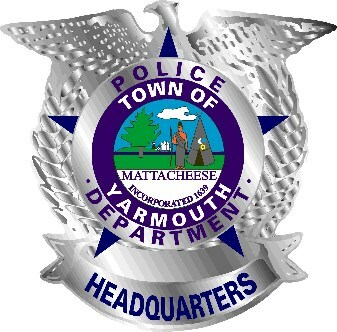 The Yarmouth Police Department has received the New England Association of Chiefs of Police Community Policing Award for 2012 and was presented with the extraordinary award during a special ceremony on Wednesday, February 27, 2013 at 10:00 AM at Yarmouth Police Headquarters. 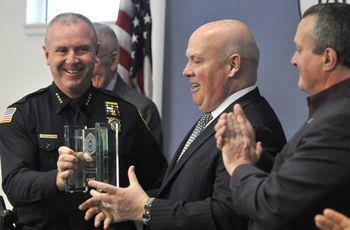 The Yarmouth Police Department is one of only three police agencies in New England to receive this award. The other two are Manchester, New Hampshire Police Department and the University of Massachusetts Police Department at Dartmouth. 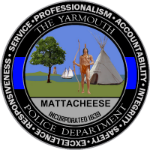 The Yarmouth Police Department was chosen due to our commitment to excellence in policing and our wide-ranging community oriented programs and overall dedication to our community. Our goal is to make Yarmouth the Safest Community in the Region. We will continue to build strong citizen support and partnerships through transparency and inclusion. 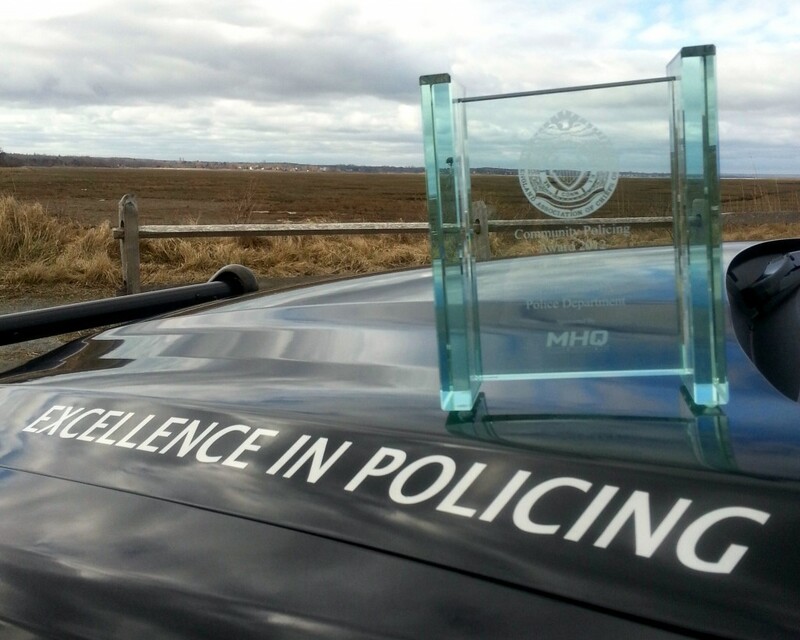 We are extremely proud of the work of each and every member of our police department and are deeply honored to be receiving this award. Former Yarmouth Police Chiefs Robert F. Chapman, Peter L. Carnes, and Michael J. Almonte attended this ceremony as well as several other Cape Cod and New England area dignitaries.